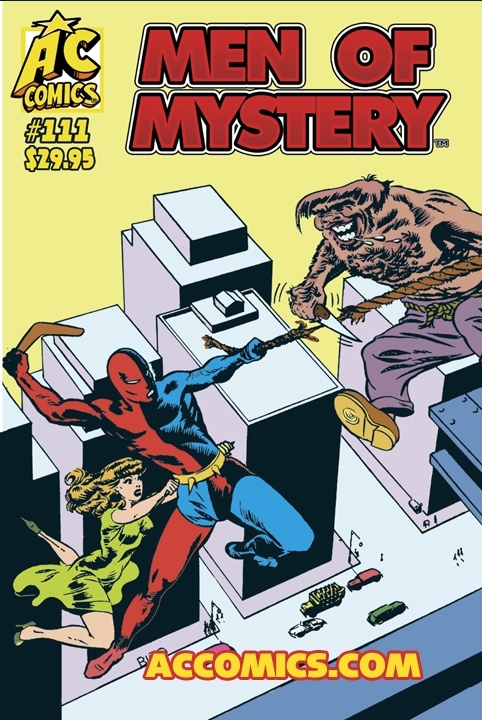 Synopsis: More rare, vintage superheroes from the 1940’s including Charles Biro’s original DAREDEVIL, Fox’s BLUE BEETLE, SKYMAN, CAPTAIN MIDNIGHT, PYROMAN, DOC STRANGE, VULCAN, The HOODED WASP, BUCKSKIN, BLACK SPIDER, and others, including first-time MOMers RED DEMON and GREG GILDAY!! Classics not seen since their original printings in the Golden Age! !